I guess I can join the club of those who have had their Xbox 360 die on them. Thankfully, this unit is still under warranty. Hopefully the repair turnaround time isn't too long. Man, I feel for you. The Red Ring Of Death just seems to come out of nowhere. I'm glad you're still under warranty. 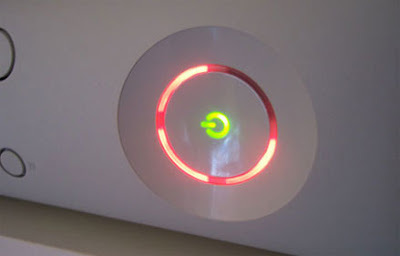 thats why u shouldnt have gotten an XBOX the PS3 is way better and doesnt have red, blue or green rings of death!! it just happened to me yesterday. i sent my xbox off today. they said 2-3 weeks, but i'm hoping it's not that long of a wait. it couldn't have happened at a worse time either...the new bungie update of halo 3 has made everyone start all over with their rank and now that my xbox is gone, i'm falling farther and farther behind! !